Every true bibliophile has gazed up at the seemingly endless shelves of books in a good bookstore or library and imagined gathering up a stack, finding a quiet nook and turning in for the night. In Japan (where else?) 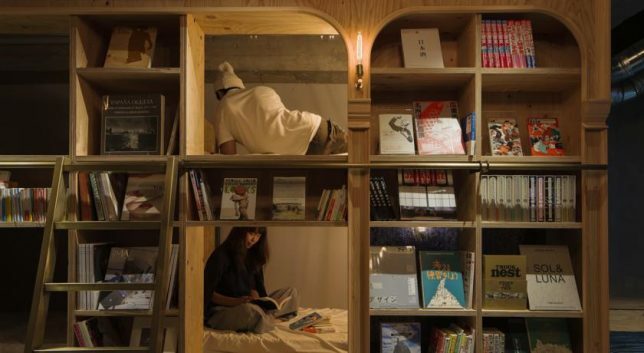 you can actually do just that in a library-themed hostel, though you might be too excited about your reading materials to get much sleep. 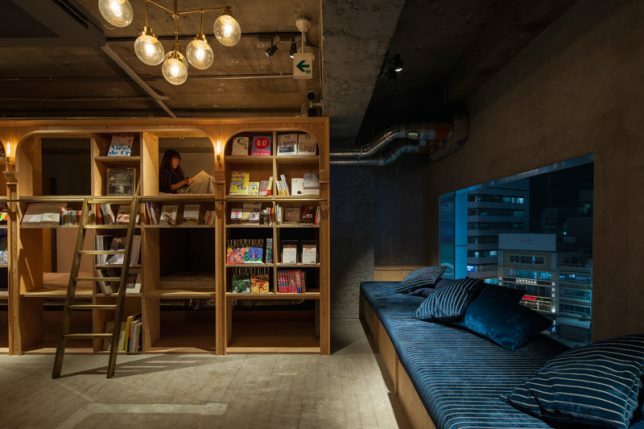 The Book and Bed Hostel by Suppose Design Office features semi-private sleeping nooks built right into the bookshelves, so you can climb out and look for more books as often as you want. 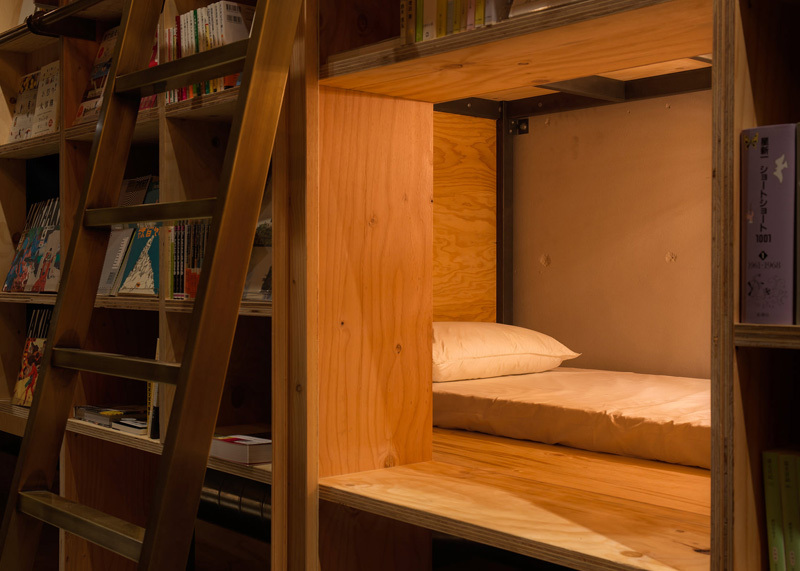 The hostel has two locations – Tokyo and Kyoto – with rates starting at just $40 (4,445 yen) per night. In the true spirit of a hostel, everything is set up dorm style with shared bathrooms and nothing but curtains separating you from your neighbors, but considering the theme of the place, you probably don’t care. Book and Bed isn’t really about enjoying privacy or getting a good night’s sleep. 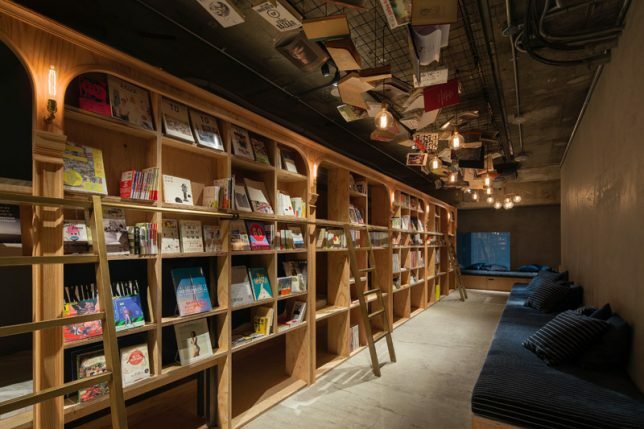 The Tokyo location features over 1,700 titles to choose from, stacked on floor-to-ceiling shelves. Climb the library ladders to reach the highest ones, and check out the featured books that have been hung from the ceiling as decor. 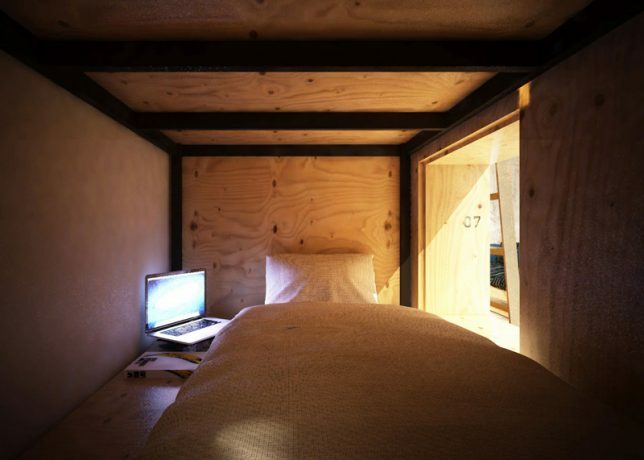 Each sleeping nook is fitted with a backlight and an outlet, and there’s wifi, though you’ll probably be too busy reading to use it. The Kyoto hostel is located just steps from many popular local attractions, like the Yasaka Shrine and the Nanzenji Temple. There’s a special selection of Kyoto-centric books in both English and Japanese. 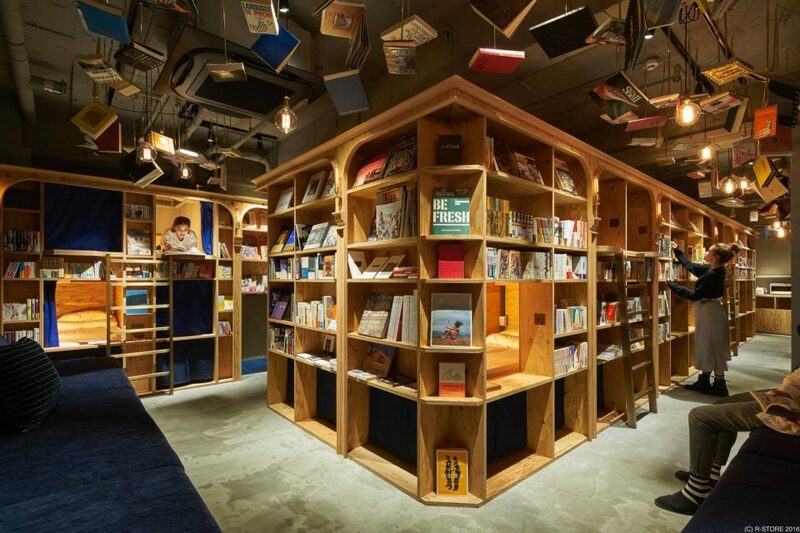 Both hostels offer striped robes and totes reading ‘Have a Book Day’ for purchase as souvenirs. 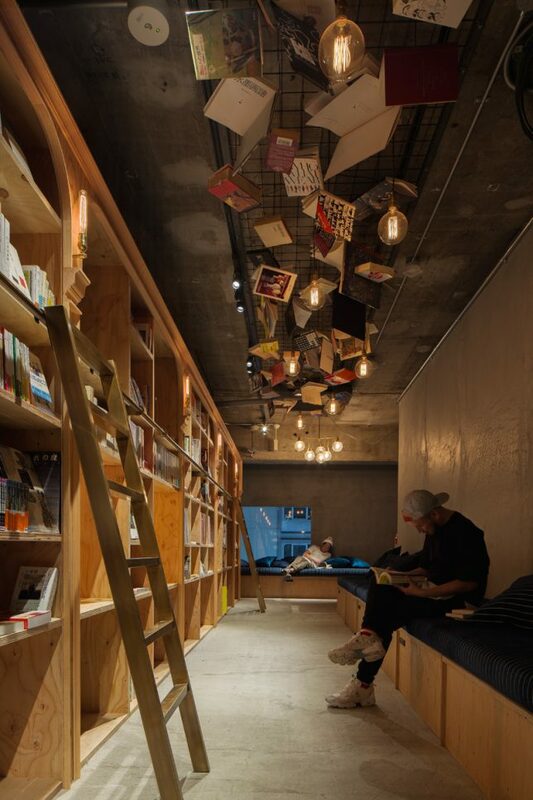 You can see more photos on the Book and Bed Tokyo Instagram account.